Our Splendour silk flower display is a gorgeous handmade arrangement with Roses, solarium, ivy, a real splash of spring. Our Silk flower range is skilfully made by talented artists; the quality of the craftsman ship is exemplary. Perfect for the home and suitable to send as a gift for all occasions. 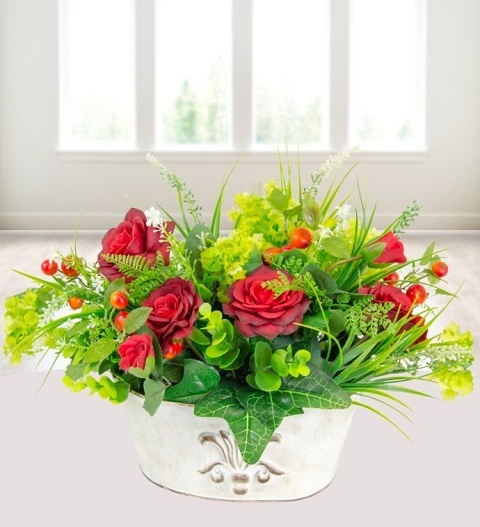 The splendour silk flower arrangement is available for UK next day delivery.